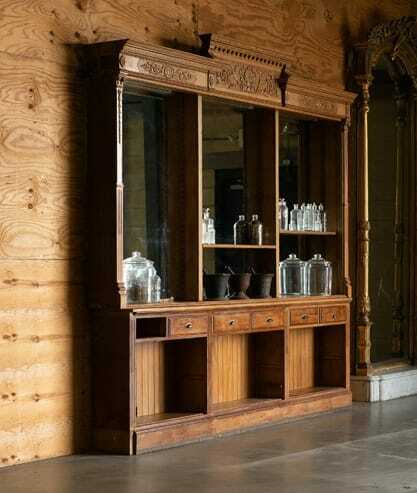 Small turn-of-the-century oak apothecary cabinet from a pharmacy in New Jersey. 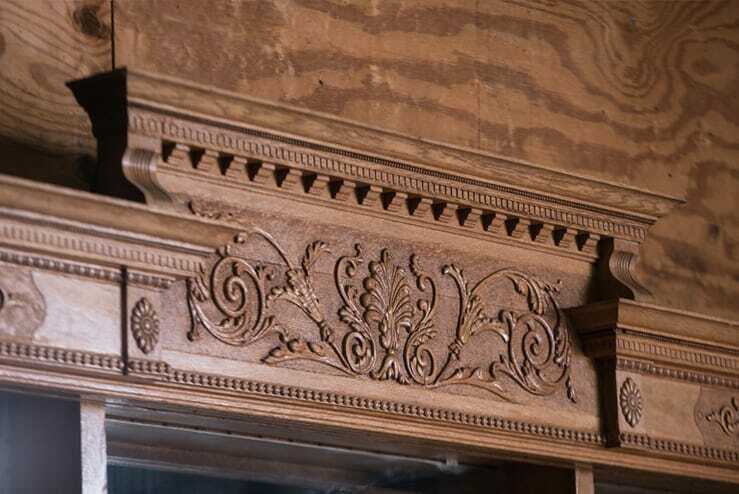 Carved appliques ornament the top; ionic pillasters divide the upper section which is backed in mirror. The lower cabinet is lined in beadboard. 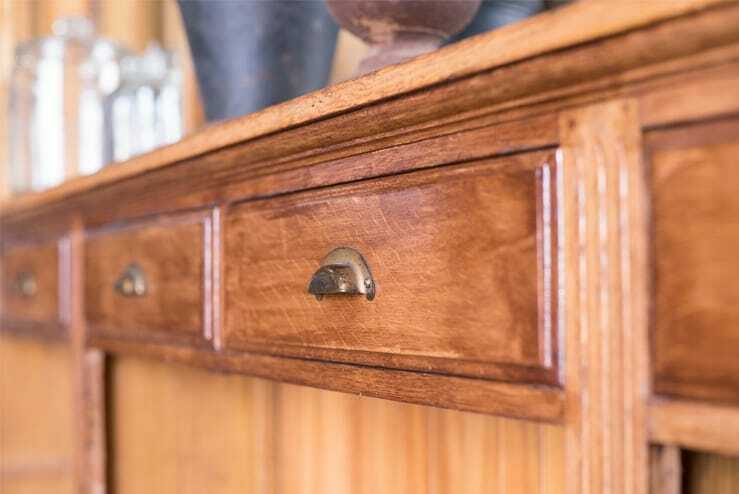 There are two adjustable shelves. Please note: There is one missing drawer.